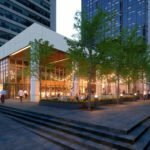 Westbank has submitted their long awaited rezoning application for the Central Steam Plant site at the corner of Beatty Street and West Georgia Street. 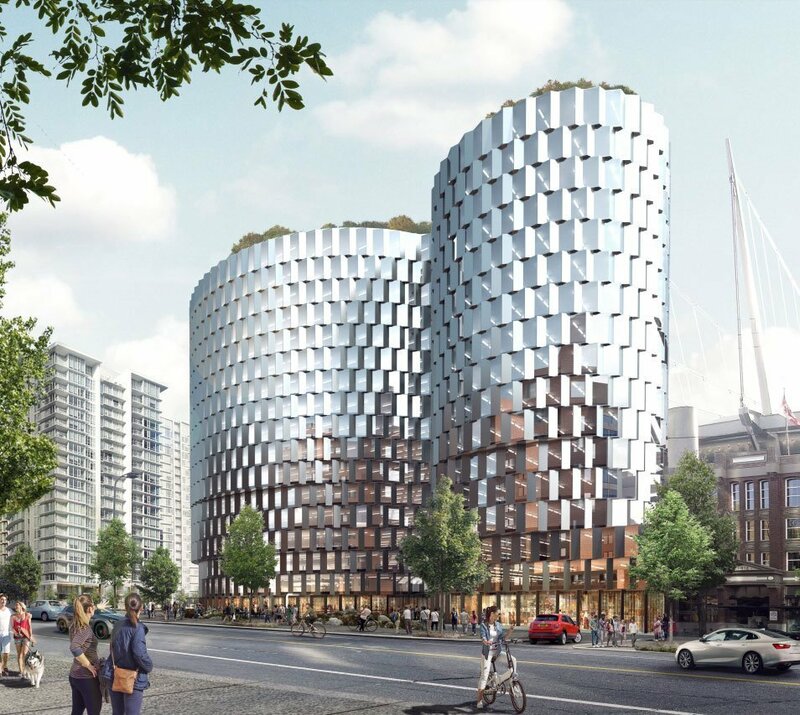 Plans call for a 17-storey office tower designed by world renowned architect Bjarke Ingels Group (BIG), the same firm behind the iconic Vancouver House tower rising next to the Granville Street Bridge. 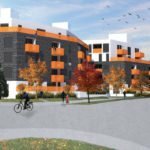 Local firm HCMA Architecture + Design is also involved in the project. 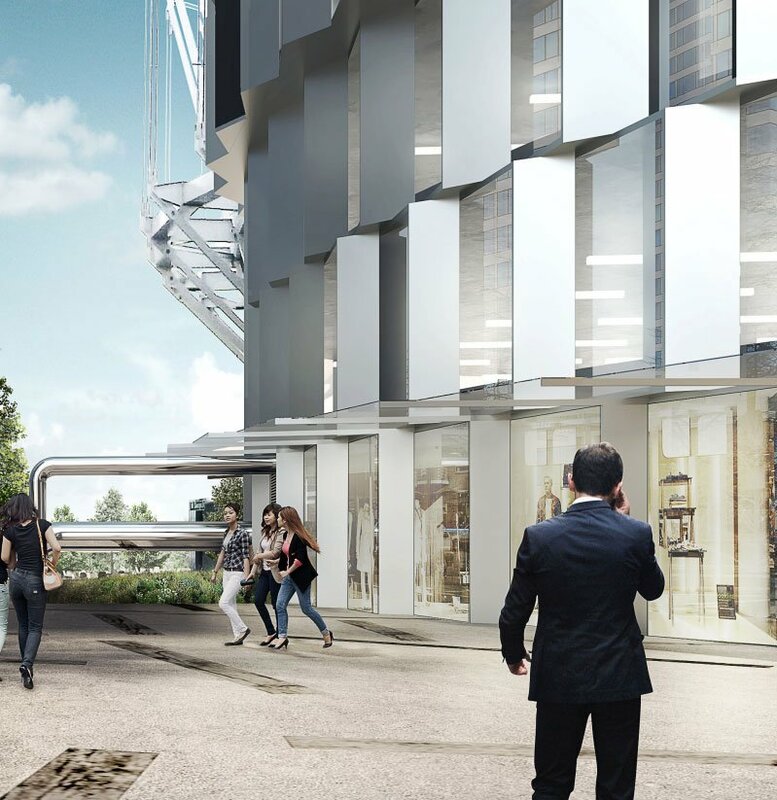 The new building will include 597,192 sq ft. of office, retail and plant operations space. 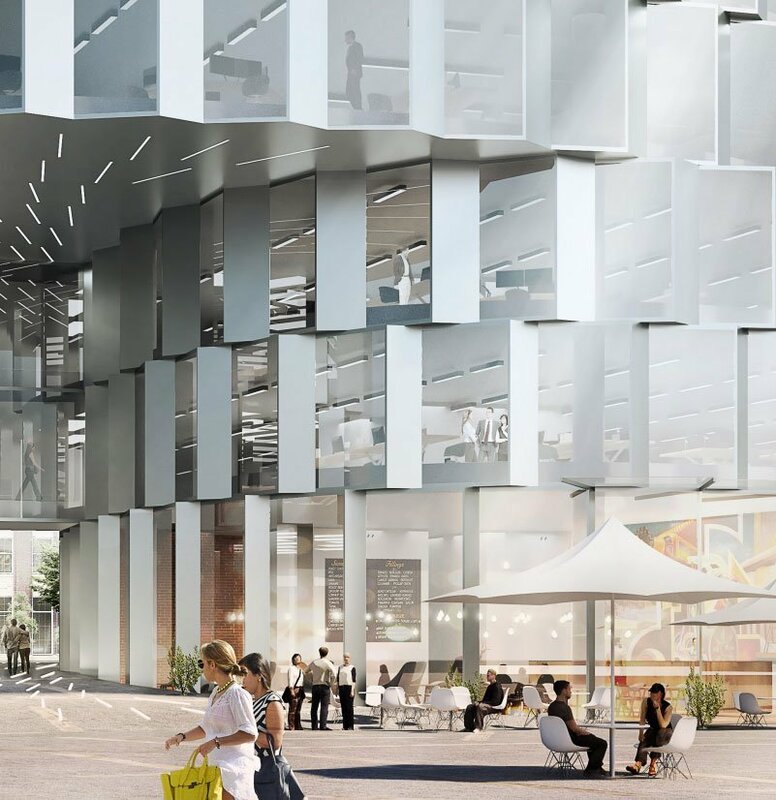 The facade will be made up of triple-glazed, reflective glass and metal panels in a pleated, repeating pattern, meant to achieve superior energy performance while maximizing daylight. 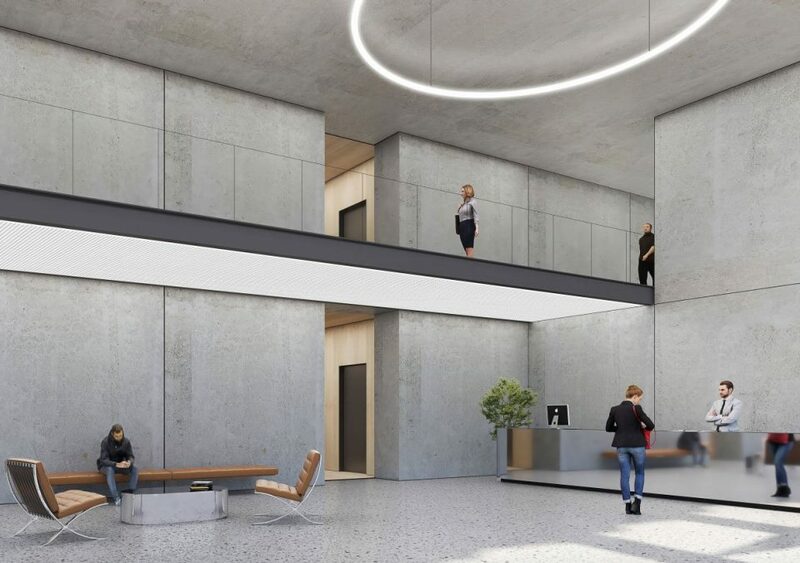 Westbank says the site is one of the only sites in Downtown Vancouver that is capable of housing office floor plates larger than 30,000 sq ft., which are in high demand from tech companies. 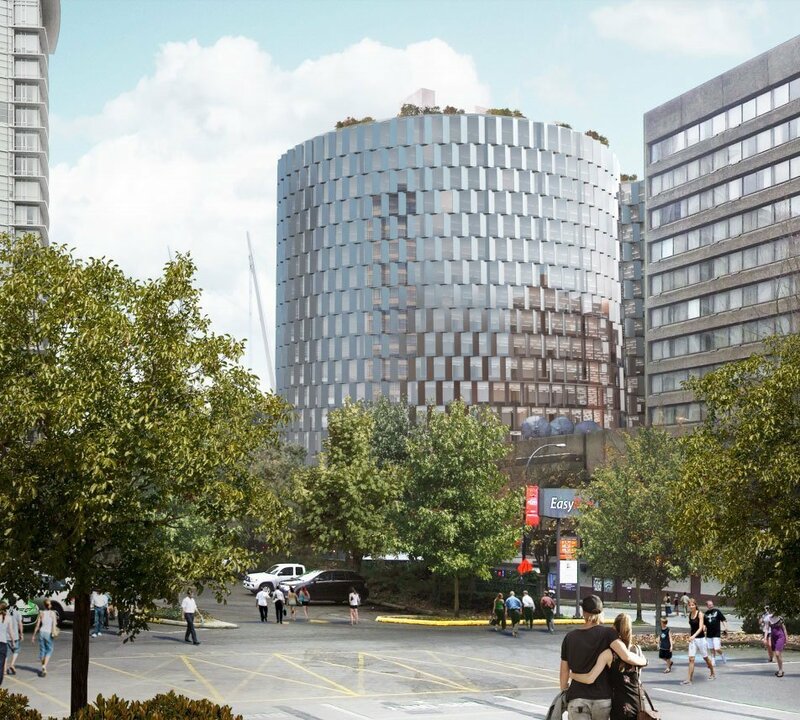 The rooftop of the building will include a perimeter running track and gym, gardens, terrace and seating area. 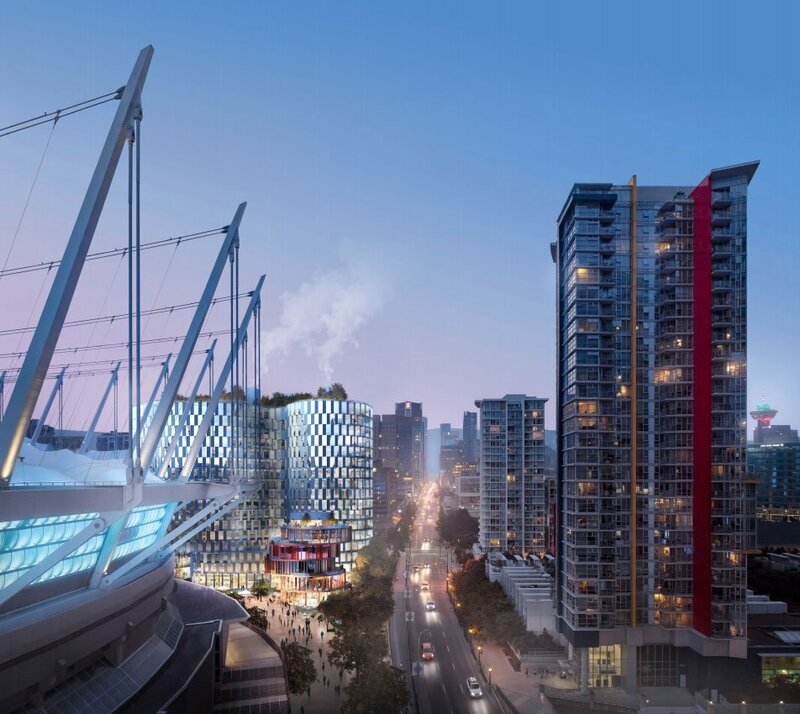 A five-storey sports and entertainment pavilion is also planned as part of the development, situated between the office tower and BC Place. 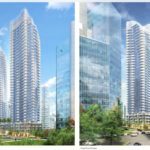 Proposed tenants across the five levels include a brewery, karaoke bar, virtual reality sports, sports lounge and a rooftop pizzeria. 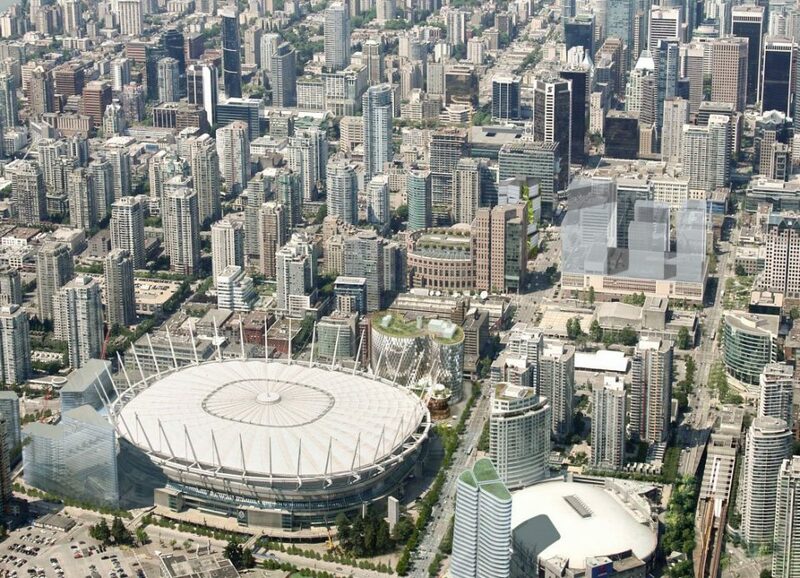 The architects say the development will fill a missing gap between Beatty Street and BC Place stadium, improving pedestrian connections as well as offering new retail, restaurant and entertainment options around a new plaza. 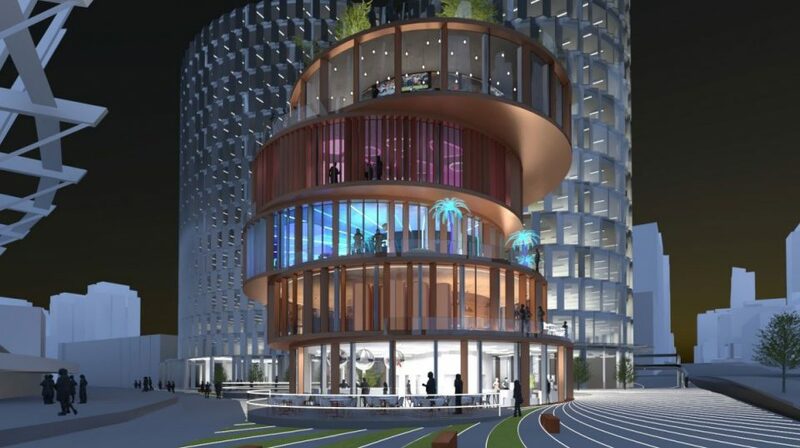 The plaza surface will be highly detailed, with inlaid timber and gold planks, as well as LED lighting. 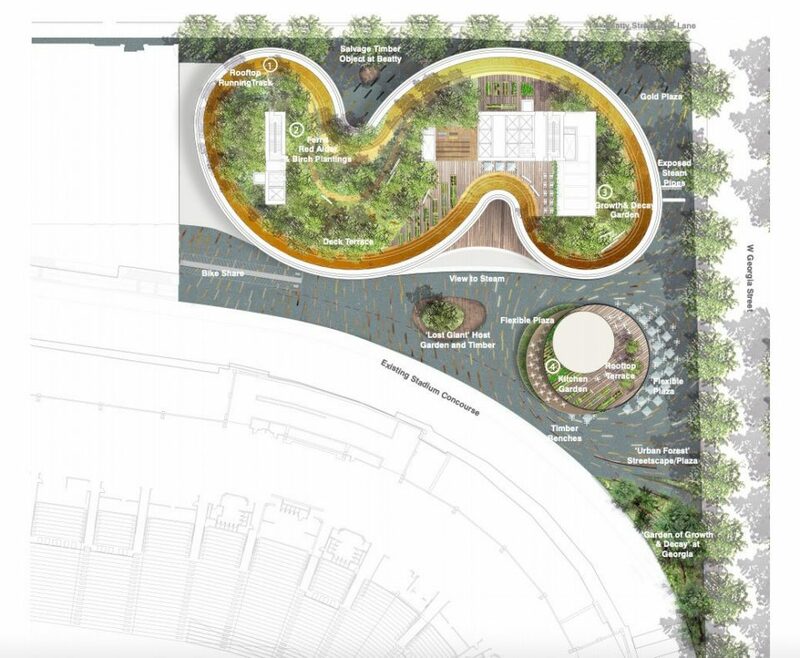 The design is meant to encourage the movement of large crowds during stadium events, as well as inviting pedestrians and office workers to spend time on the plaza during quieter hours. 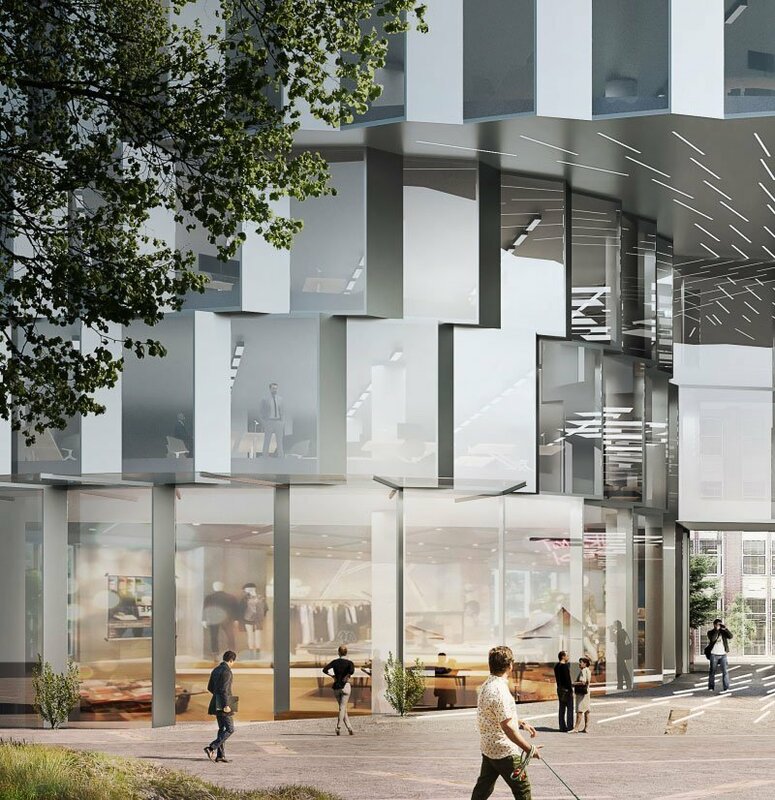 A total of 358 stalls over four levels of underground parking are proposed, as well as 337 bicycle parking stalls. 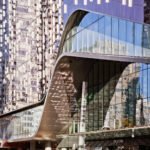 The development is targeting LEED Gold (version four). 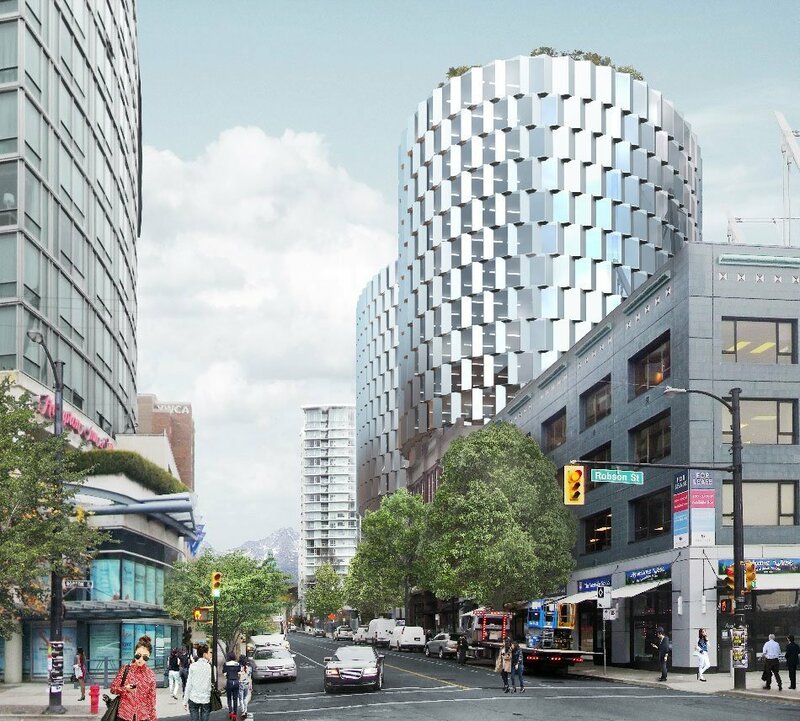 The site is kitty corner to the future Vancouver Art Gallery, where an updated design was revealed last week, and two blocks from The Post redevelopment, which will see new two office towers and a large format Loblaws CityMarket grocery store. 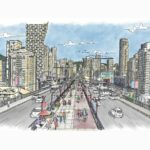 The project team has designed the development around the future removal of the viaducts and extension of West Georgia Street south to a new intersection at Pacific Blvd., as outlined in city plans for Northeast False Creek. 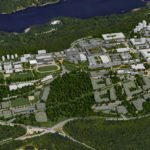 “Now is the opportune time to redevelop this site given the timing of viaducts replacement and if both are not considered concurrently, this gateway site will become a missed opportunity and a potential eyesore,” states the rezoning rationale. The redevelopment will retain and upgrade the existing steam plant, known as Creative Energy, and incorporate it into the new building. 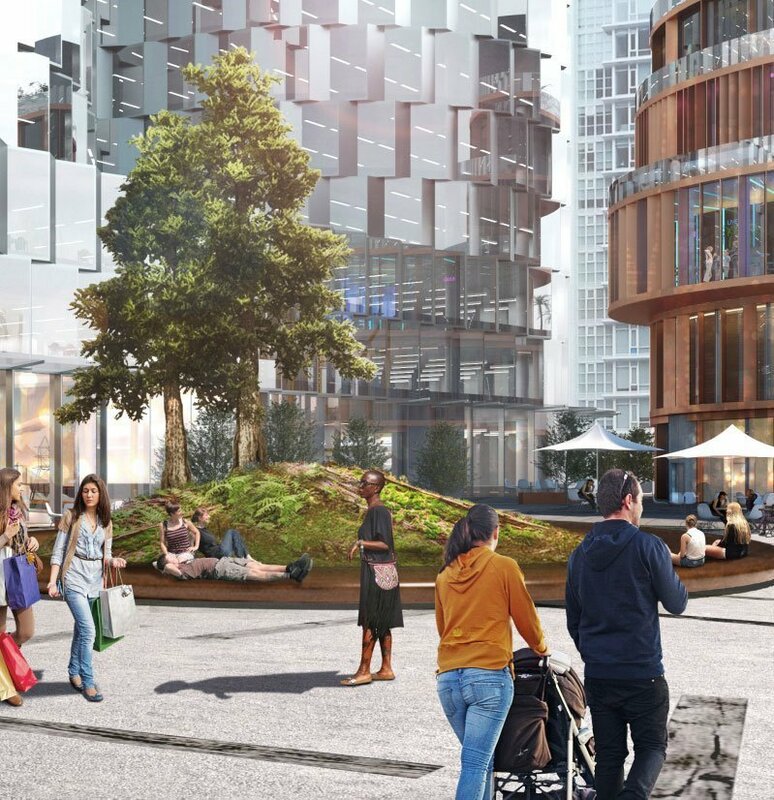 The steam plant facility and connections to the underground network will be visible from the plaza, adding interest for passerby. 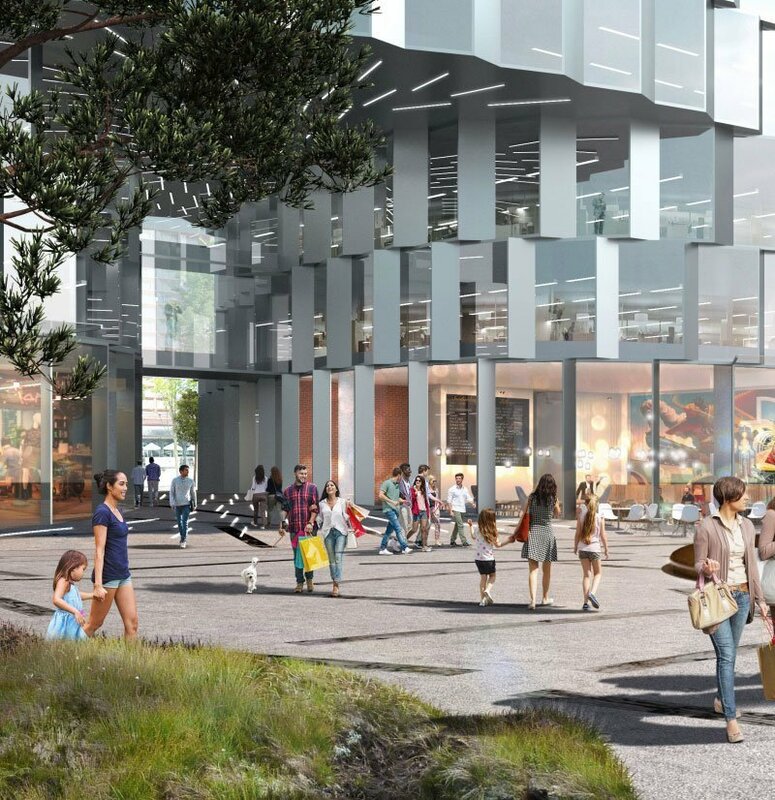 As part of the redevelopment, a new off-site Creative Energy plant will be constructed along the east side of Expo Blvd. adjacent to BC Place under the concourse. The new plant will be approximately half the size of the existing plant at 720 Beatty Street and house brand new, high efficiency equipment. The new, off-site plant will need to be constructed and commissioned prior to construction start of the proposed redevelopment on the current steam plant site. 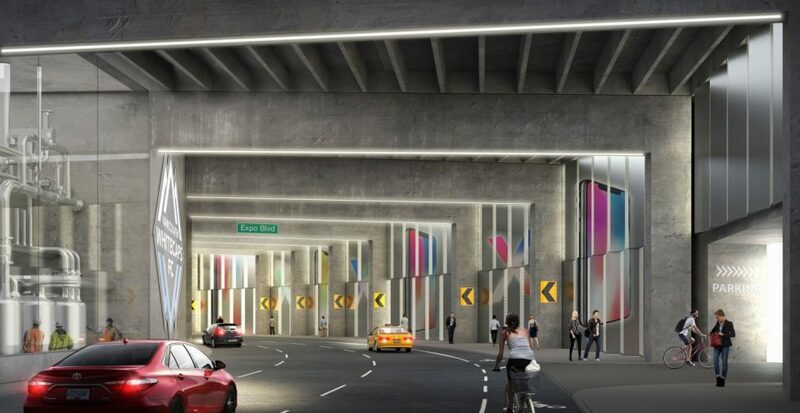 Under the BC Place concourse along Expo Blvd., new overhead lighting will be installed, along with a pleated facade of colourful, perforated panels. The upgrades should help improve the appearance of the thoroughfare. 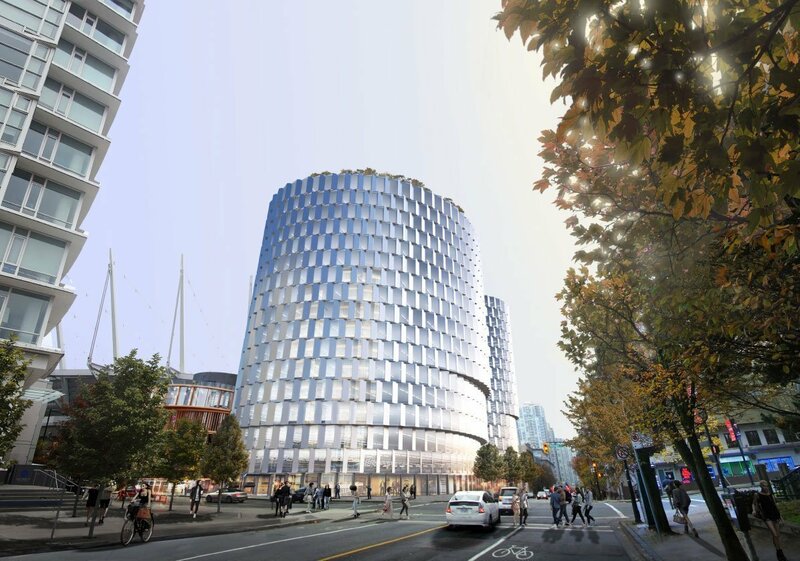 A community open house will be held from 5:00 p.m. – 7:30 p.m. on Monday, March 11, 2019 at the Vancouver Public Library Central Branch, Alice Mackay Room (350 West Georgia St) with the applicant team and city staff.